What are the Top Ten T51 Murad Cards? Glad you asked. As a pre-war collector, like most, 95% or so my focus in on early baseball issues. But I also love the earlier football, basketball, and hockey cards, too. Beyond that, I even have a pretty passive interest in some other sports like golf, tennis, boxing, etc. That’s one of the reason the T51 Murad set just works for me. If you’re unfamiliar with it, the T51 Murad set is a multi-sport issue that stretches all sorts of boundaries. It’s called a multi-sport set but even that translation is somewhat loose. That’s because it includes all sorts of loose sports, such as fishing, hunting, and more. Some, such as cards that depict campers or college graduates, are flat out non-sports cards. In fact, if you take all 150 cards (there are actually 225 total in the master set including variations, but 150 different images), about 1/3 are of the non-sports variety. You shouldn’t let that scare you off, though. In addition to still featuring about 100 sports cards, there are some incredible images and stories behind many of them. Here are what I consider the top ten cards from the set. So, let me guess – I’ve already lost some of you, right? Fair, I guess. I know, I get it. This isn’t even a card from the four major sports. Don’t worry, I’ve got plenty of those coming up. But I just love the antique look of this card. It’s also incredibly unique. While most, if not all, others in the set feature color images of subjects, this one appears to be a statue that resembles the famous Greek sculpture, Discobolus, of a discus thrower. This is one of eight baseball cards in the set. It features a baseball player for Antioch rounding the bases. Judging by the relaxed pace he seems to be taking, it looks like it’s probably after a home run. Just really nice eye appeal in this picture with a team using blue and pink – pretty unusual combination for a baseball club. I think you could make a compelling argument for a lot of other cards that aren’t on this list instead of this one. But the fact that it’s a baseball card, a nice shot, and has a unique color scheme gets it on my list. Hockey was just gaining in popularity in the United States and this is only ice hockey card in the set. For that reason alone, it belongs on this list. The picture show some great old hockey sticks as well as a nice winter scene with the game being played outdoors, as intended. I’ve seen better early hockey images but as the only hockey card in the issue, it’s worth a spot here. The inclusion of this card might not have seemed like much at the time. But by squeezing it in, Murad officially included at least one card from all of the four major American sports as know them today. The Haverford card is just another great baseball scene here. nothing flashy but the Haverford uniforms look amazing here. The solid red of the sleeves and cap look great with the red and gold borders on the card. 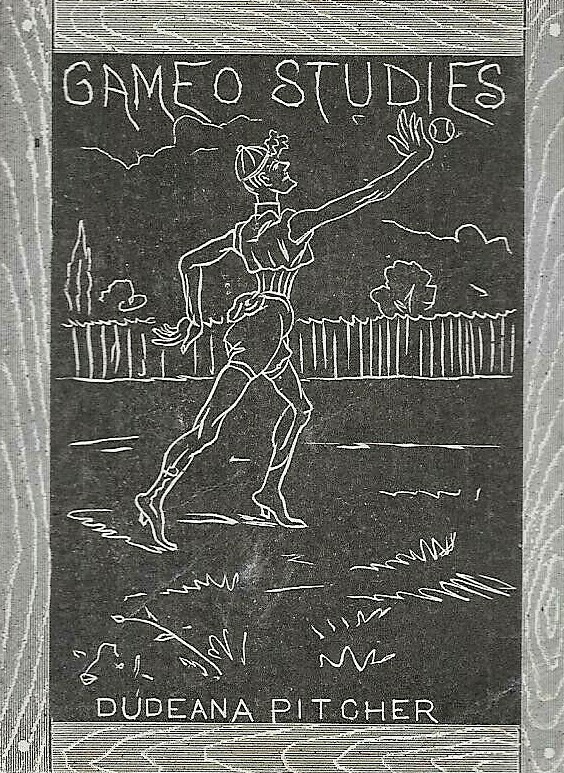 The picture shows a field awaiting a throw while standing with his foot on the bag. I’m also lumping the Fordham card in with this one because the color schemes are unmistakably similar. The Haverford card is a bit brighter and if you twisted my arm to pick only one, I’d take that one. But I love the Fordham script pennant and the giant ‘F’ on the jersey. You might be asking me to pick only one but there’s no way I’m doing that. Again, nothing flashy – just great pictures. Looking at this card, you might even miss the fact that it represents baseball. But pictured here is an obvious baseball player given the uniform, despite no other mention graphically of the sport. I love this card because it’s so understated. Just a simple shot of a simple, player standing at attention with his arms respectfully behind him. So simple, but such a great picture. It’s also on this list because it’s in stark contrast to the other baseball images, which are all also action shots. Don’t get me wrong – those are great. You can tell that because I’ve put three of the seven of them on this list. But this one is such a difference from those and that, in addition to the great imagery, is a reason it belongs. The second and final non-major sport card here is another great one. While other golf cards are in the set, I love this one because it’s not an action shot – similar to what I just said about the Kentucky baseball card, which I’ve slotted at No. 6. Instead, you’ve got a pair of golfers. Another really cool feature about this card is that it includes a female. There are some women in the set, but they’re mostly in non-sport capacities. Here we’ve got one carrying a club and, what looks to be, an active participant. Like some others, I really love this one for the apparel, in part. The vintage clothes, clubs, and bag make this card. The side view, too, is another nice touch. These cards are both vastly different but separating them (for me, anyway) is absolutely impossible. Pound for pound, these might be my two favorite images in the entire set. The North Dakota card features a player sitting out the action but the color scheme is so crazy good. 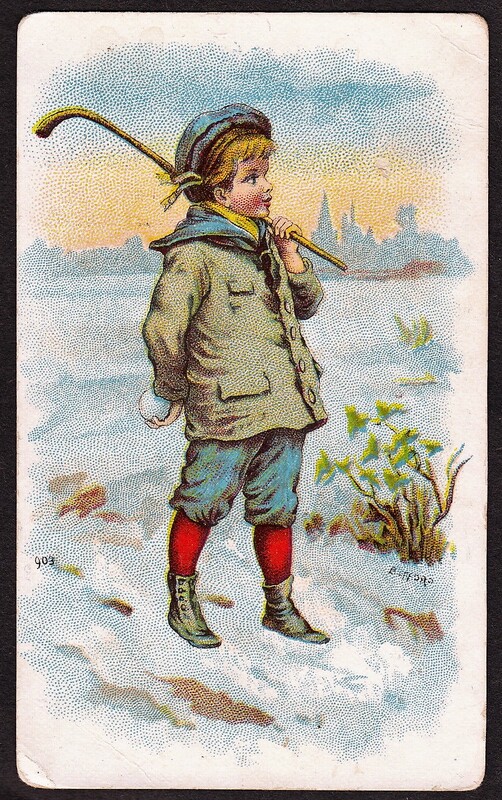 The Tufts card features a ball-carrier with much more muted colors that work and make it look more like an antique card. Both are absolute fantastic, though, and could be higher on any list in terms of the aesthetics alone. If this list were about finding the most expensive or the key card in the set, there’s no doubt that Michigan would top it. Prices for it can easily approach $100 or surpass it for better conditioned copies. Even in lower grade, it is difficult to find under $40 or $50. The card doesn’t seem to be any more scarce than others. But it is heavily desired for a couple of reasons – namely that it features a big name school and is also a football card. The other five football cards don’t really feature powerhouses in that sport. Harvard was one of the earliest programs but isn’t really a major force today like Michigan has become. If this card featured a Michigan fisherman or track and field athlete, it wouldn’t have the same appeal. But put Michigan and football together, and you’ve got a classic. This is probably my favorite card in the set. Maybe not the best but probably the one I like the most. It features a great football scene with Harvard and, unlike other issues, depicts an actual game. But if you look closely, you’ll notice the opponent is wearing a blue uniform. That would seem to indicate they are playing long-time rival Yale. That isn’t just wishful thinking, either. While Yale is not named on the card, many early images of football show a red team matched up a blue team because those teams have been playing each other since 1875 around the inception of the sport here. An interesting side note here is another reason I have it so high. If you look closely, the picture doesn’t really make any sense. The T6 Murad card, a larger premium version offered for 25 cards in the set, included this picture in the set and actually offers a correction of sorts. The T51 Harvard card shows a Harvard player kicking the ball but, while one defender is shown in a correct blue uniform, a second is shown blocking for the kicker and stopping a red-uniformed defender. A second red defender also appears in the background. The T6 Murad card actually fixed this and changed the apparel of the defenders to all blue uniform while putting the other blocker in a red uniform. The top card in the set belongs to tiny Williams College. As I’ve written before, this is widely regarded as the first true basketball card depicting a team. Other collectibles and items have been produced earlier, but in terms of showing a real team on a traditional basketball card, this is often seen as ‘it.’ The reason this card is the first and not one of the other three basketball cards is that this is the only one in the first of the six 25-card subsets. Others (Northwestern, Xavier, and Luther) came in later subsets. Williams not only had a team when these cards were produced, but the team had been around since 1900 – about a full decade earlier. And like the Harvard card, this one could be depicting an actual game with a Williams defender guarding a player in an orange jersey. Other cards might look nicer or feature more recognizable colleges and universities but this one is the most significant.